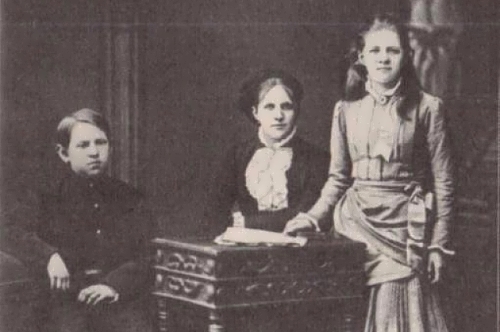 Efrosinya Polotskaya is the first woman to be canonized by the Russian Orthodox Church. You know, she was one of the most educated women of her time. XII century was a period when the inhabitants of ancient Russia began to accept the Orthodox faith. The new faith was reflected in architecture, literature and art. Orthodox churches were decorated with scenes from the Bible. At many monasteries, scripts were opened, where translators from Greek and copyists of books worked. Polotsk at that time was one of the largest centers for the book production, as well as an excellent place for those who wanted to get education. There was a chronicle, from which we can now learn about the outstanding personalities of the time. The exact date of birth of Efrosinya is unknown. Historians have established that Predslava (her real name) was born in 1101. 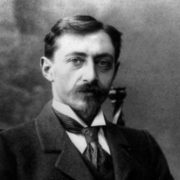 She was the granddaughter of Vladimir Monomakh, and also the daughter of Polotsk prince Georgy. The girl was taught by monks. In the house of the prince there was a very large library and the girl was fond of reading. The description of Efrosinya and her life is taken from the annals, which were written by witnesses of that time. Among her favorite books were: Holy Scripture and the Psalter. Rumors about the wise girl quickly spread far beyond the borders of the Polotsk land, so many of the noble princes dreamed of such a wife. 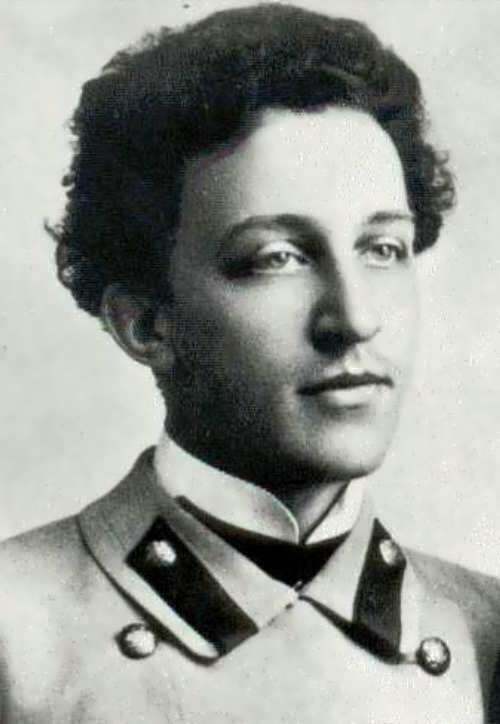 When Predslava was 12 years old, one of the princes decided to marry her. Parents gave their consent, and the girl took a completely different decision. She secretly went to the monastery. The abbess of this monastery was the widow of her uncle Roman. When the abbess heard a request for permission to take tonsure, her first decision was to refuse. The girl was still too young and very beautiful too. 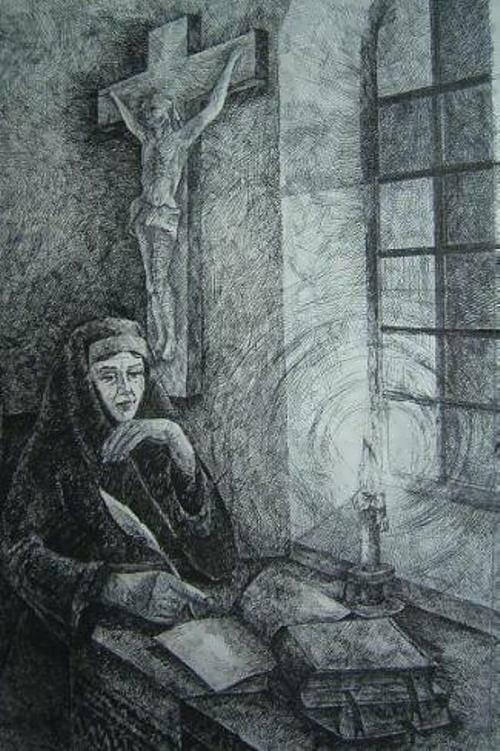 Yet in time, seeing the passionate prayer, faith and mind of Predslava, the abbess gave her consent. So the girl became a nun. 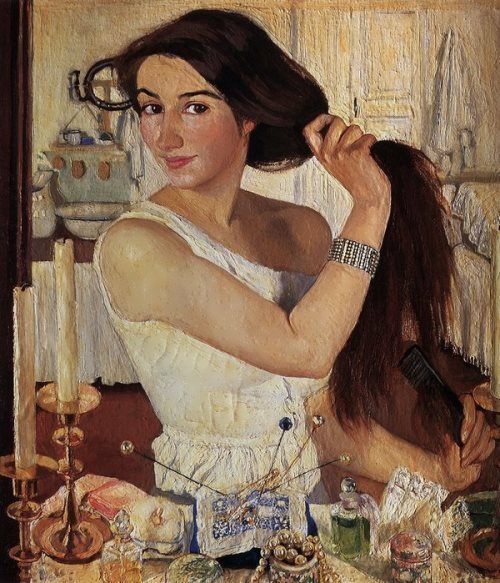 When she was tonsured, Predslava was called Efrosinya. The choice of the name was not accidental. Efrosinya from Alexandria, who lived in the V century, was an excellent example for the girl. In addition, this name means “joy”. The parents were saddened by such a decision and attempted to return her daughter home. However, Efrosinya remained in the monastery. Becoming a nun, the girl devoted herself to different sciences. 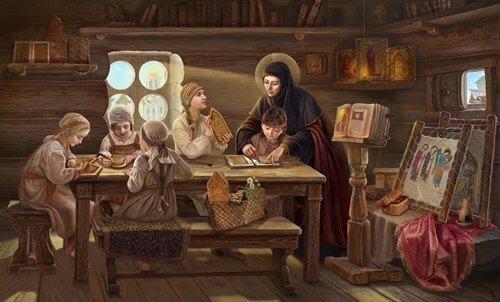 She studied books that she found in the church, and those were works of Slavic theologians, ancient chronicles, as well as the works of Byzantine and Roman enlighteners. The nun learned of her destiny from a dream. The Angel, who appeared in the dream, ordered her to found a new abode near Polotsk, in a place called Seltso. 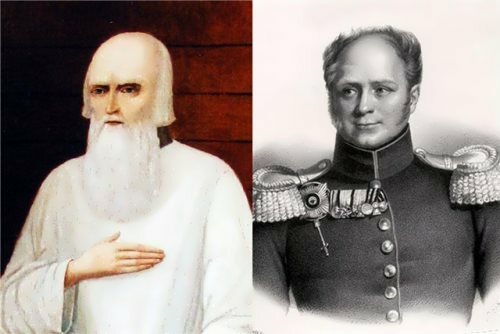 Soon Efrosinya learned that Bishop Elijah of Polotsk had the same dream. She was a woman who became famous for the foundation and guardianship of monasteries. After all, in addition to the women’s monastery, she was a trustee and founder of the Bogorodsky Monastery. At the monasteries, she opened schools, where the pupils were taught various crafts, reading and writing, and the art of rewriting books. Also Efrosinya became famous as an adviser, she never refused to those who needed guidance on the path to faith. Many people who came to her received spiritual support and help. She able to calm down quarrels between the princes. Besides, Efrosinya had her own cherished dream – she really wanted to visit the holy places of Palestine. This desire, she decided to implement, being far in old age. Earlier, the life of Efrosinya was devoted to rewriting and writing her own books. On the way to Jerusalem she met with Luka, the Patriarch of Constantinople. 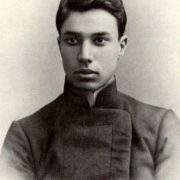 Efrosinya visited the Life-giving Coffin of the Lord and stopped at the Russian Monastery. On May 23, 1173 Efrosinya died. 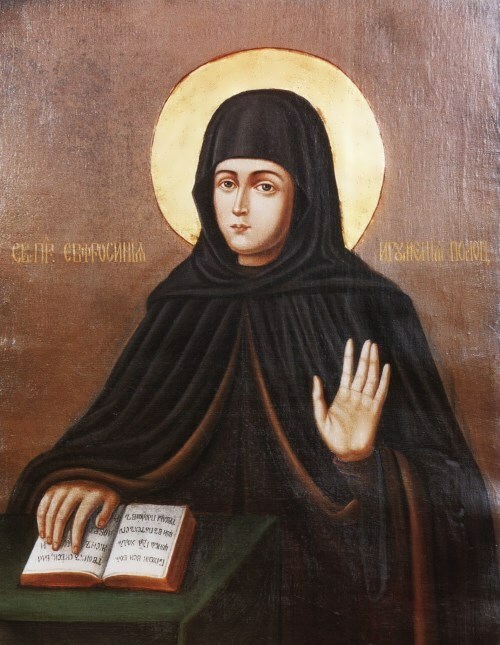 Her body was buried in the monastery of St. Theodosius, near Jerusalem. Since 1187, her relics were kept in the Kiev-Pechersk Lavra, and in 1910 they were returned to Polotsk, where they are now. 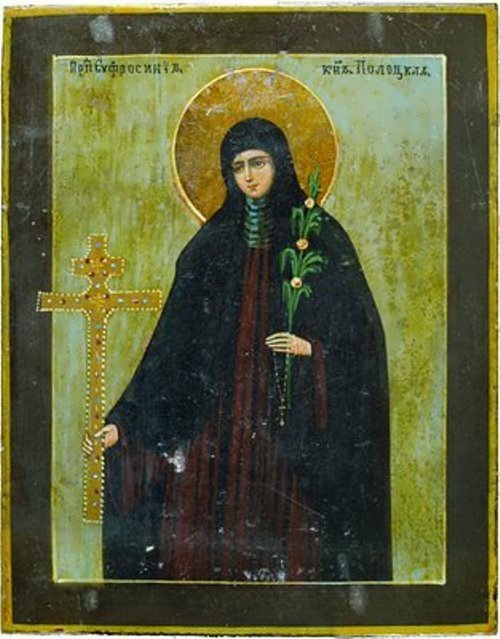 One of the main attractions associated with her name is the cross of Efrosinya Polotskaya. This masterpiece of ancient Russian culture was created specially for her. The cross possessed miracle power, it was used only in especially solemn divine services. There is a legend that Ivan the Terrible took the cross with him to military campaigns. Unfortunately, the relic was lost during the Great Patriotic War, but in 1997, according to the surviving descriptions, a copy of the cross was made by Brest jewelers. 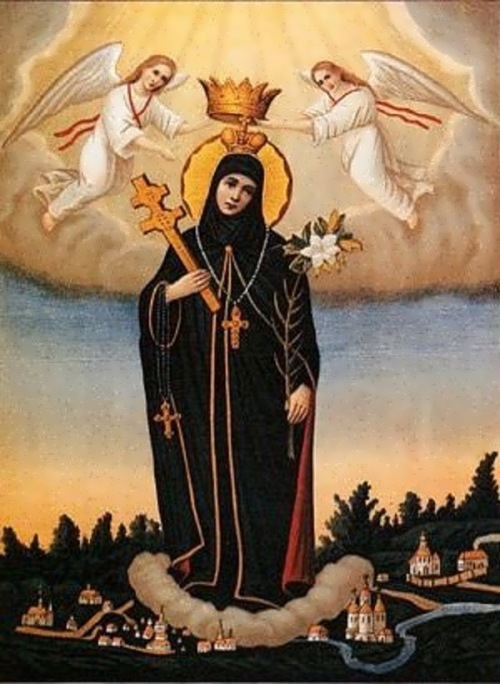 Efrosinya was canonized in 1547, in 1984 she was ranked among the Saints of Belarus. 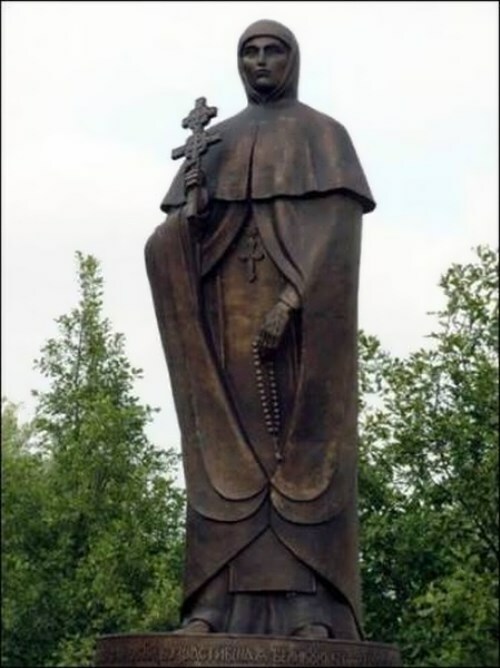 Since 1994, the day of the death of the saint has become the Saint Efrosinya’s Day and is widely celebrated in Belorussia.